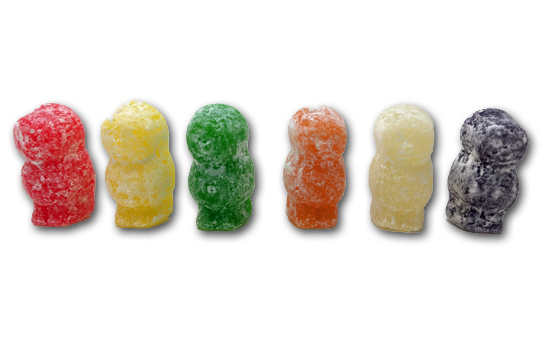 We checked out Bassett’s Jelly Babies last month (spoiler, they’re kinda awesome). To be honest, I thought theywere the only game in town. Not so, apparently, because then I found these colorful little guys: Before I tell you about these, let’s recap the Bassett’s, so we can understand why I liked them so much. 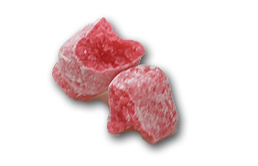 At first out of the bag, the confectioner’s sugar coated little scary babies were just too soft. Too…loose, too weird. But still very tasty, and intruiging. After a short few weeks of aging, they completely transformed. The exterior now was a bit hard and crunchy. The interior, while still very much a Jelly, was firmer, more in line with typical fruit jellies. Silky, luxurious. They were damn good. And now we can get into Gustaf’s. Out of the bag,there’s a similar look to Bassett’s, but that’s where the similarities end. These things were much much firmer than Bassett’s. You can see below, the cross section doesn’t have a moist jelly look to it- in fact it almost looks like it’s verring into the Starburst Zone. Still technically a Jelly, these had a chewiness to them I wasn’t expecting. The flavors were good-not as good as Bassett’s, but the same variety at least. 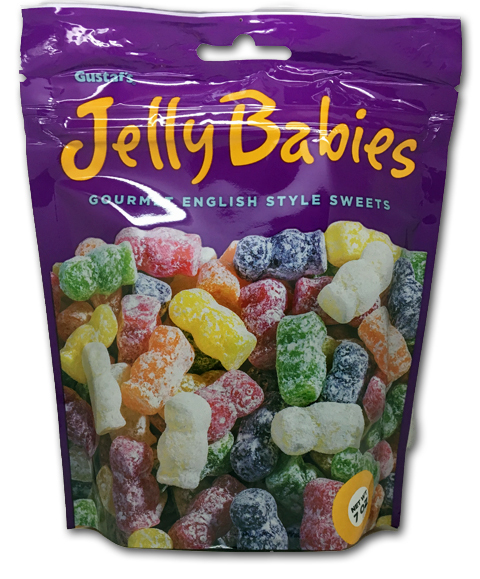 Here’s the odd part: I think if I had tried these first, I would have liked them immediately and that would have been that as far as the never ending vortex of Jelly Babies I was about to jump into. But I didn’t. I was destined to go on a journey, to LEARN, damn it, to grow. Fatter, by eating more varieties of candy. 1. I really hated Bassett’ the first time I tried them years ago. 2. After revisiting them years later, I STILL didn’t like them out of the bag. 3. A few weeks later…I kinda loved them. This is proof positive that nothing in this world in unchangeable. Got a racist Gramps? Keep working on him with positivity. Got an excess of back fat because you read our sage advice too much? Get on that workout regimen. Don’t understand Spanish? Rosetta Stone, baby. Don’t like olives? That’s just not normal, take a long look at yourself in the mirror and reevaluate what kind of person you want to be. Speaking of babies…these babies…..not so much. 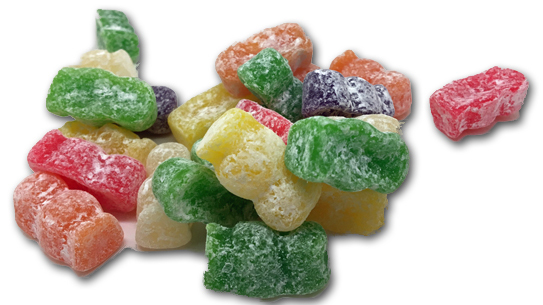 I’d stick with Bassett’s, unless you prefer a tougher, non jelly fruit jelly. It’s ok not to put both feet in the water, we won’t judge. This just proves: you can’t judge a book by the amount of words it has.